Details: Call to Arms Brewing Company will release Whiny the Millennial on Wednesday, April 17th. Whiny the Millennial is an experimental Beer-Sake Hybrid infused with 100 pounds of organic Oregon raspberries. This beer was brewed with 44% flaked rice and fermented with traditional sake yeast. Super dry and highly crushable at 4.8% ABV and 5 IBUs, this delightfully effervescent and refreshing brew boasts a rosy hue and offers a pleasant tartness from the abundance of raspberries. It sings springtime with a sake kick! 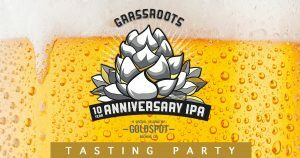 Details:To celebrate 10 years as a company, Grassroots has teamed up with our good friends at Goldspot Brewing Company to make a limited batch of Grassroots 10 Year IPA. Come down and enjoy some of the finest beers Denver has to offer and take home some of your own limited edition Grassroots IPA. If you buy a Goldspot Brewster Hat you get a free beer! Live music by The Dirty Gems 5pm – 6:45pm. 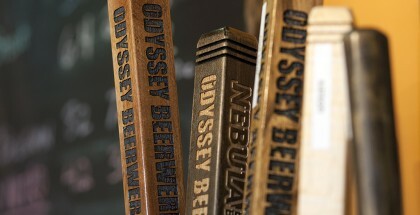 Check out a list of some of their rotating beers they have on tap. Notes of pear, citrus, and slight minerality. Made with Sémillon grapes. South American fruit beer with lactose. Notes of strawberry, pineapple, and biscuit. Details:Four Courses paired with Four Beers for $40! 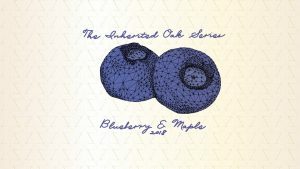 Details: Inherited Oak Balaton Cherry was a massive hit before, so we’re even more excited to announce the release of the next in the series – Inherited Oak: Blueberry & Maple! Inherited Oak is a series of barrel-aged Golden Sours matured for multiple years in neutral Red Wine barrels and refermented on various fruits. This variation features the juicy, tart puree of natural blueberries, and the delightful sweetness of maple syrup sourced from Vermont. We will have the Inherited Oak: Blueberry Maple available in the taproom and to-go in 500ml bottles. To show you the distinct beauty of each variant in the series so far, we will also offer bottles of Inherited Oak: Balaton Cherry available for to go and to enjoy in the taproom. 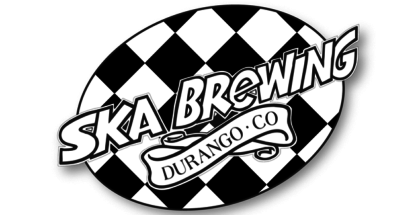 We’ll see you in the taproom Friday, April 19th starting at noon! Details: To attempt some semblance of order, wristbands will be distributed at 9am MDT, with sales beginning at 10am. There are no limits on stovepipe can purchases. 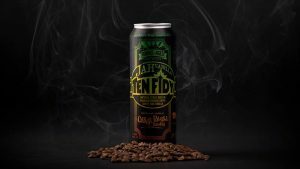 JAHvanilla pricing is $12.50 per stovepipe can, $10 per 10 oz pour on draft. No Crowler or growler. Stick around for reggae tunes by Wylie “Crazyhorse” Jones from 3 to 5pm, then Ween tribute tunes by Lil’ Ween starting at 8pm. 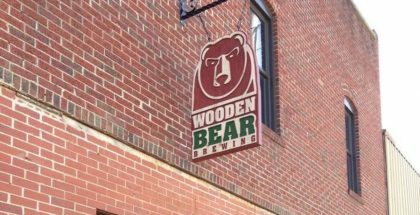 We’ll have specialty beers available including new ONEy Lo-Cal Hazy Session IPA; plus RARE Double Barrel-Aged Port Ten FIDY, Double Barrel-Aged Bourbon Ten FIDY and Double Barrel-Aged Rum Ten FIDY. Details: Announcing THE TERPENE PROJECT, an exciting new venture from our team of brewers. Terpenes: a diverse class of organic compounds and the primary constituents of the essential oils of many types of plants and flowers. Those essential oils are the driving factor behind the fragrance and flavor of plants – including both hops and cannabis. By adding additional terpenes (that are naturally present in hops) to beer, we can enhance individual characteristics of hop aroma and flavor. We have utilized three terpene extracts in three of our core beers to bring forth and enhance certain aromas, flavors, and combinations of both. On Saturday, April 20, we are releasing all three of our Terpene blends both in crowlers and on draft. HUMULENE (American Copper): The Humulene Terpene combines earthy notes of cedar and sandalwood with the nutty character of our flagship amber. LIMONENE (Juicy Banger IPA): The Limonene Terpene enhances the citrus fruit character of our flagship IPA. GERANIOL (303 Lager): The Geraniol Terpene adds a potent floral aroma to the delicate hop character of our flagship lager. A limited amount of crowlers will be released at 11:00 a.m. on 4/20. We are releasing these beers in 3-packs ONLY. We will also be sharing information via special menu on the ideal cannabis strains to pair with these beers, if you’re into that. No tickets required, just make sure you’re here early enough in the day to grab these beer strains to-go. Come share in this experiment with us.t! 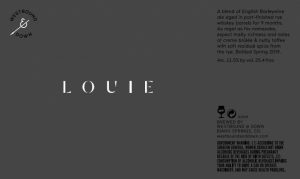 Details: Louie is our English-style barleywine aged in port-finished rye whiskey barrels for 9 months. As regal as his namesake expect malty richness, and notes of creme brûlée and nutty toffee with soft residual spice from the rye whiskey barrels. 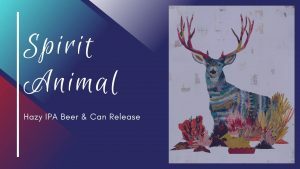 Details: Release your spirit animal with this tropical, fruity, juicy hazy IPA. This new brew will be available in limited 4-packs (16oz cans) for $14ea with original artwork by Colorado artist Dolan Geiman, as well as on draught while supplies last. 6% ABV · Hops used: Galaxy, Nelson Sauvin, and Kohatu. Drink with the willingness to let your inner wild out!